ATU has been developing technology solutions since 1996. These specialised solutions allow businesses to communicate in a way that works for them. By removing traditional limitations on fixed line communications we allow business to increase their growth rate. These solutions include voice, video and short message services. By utilising the internet, mobile communications and traditional telecommunications allows us to provide a fully converged solution. We operate and own all our network infrastructure. This means we have full control and visibility through out our network and ensure that we optimise each and every path allowing us to maintain maximum control. The diagram on the right illustrates one possible setup that you can have within your office. This means you can communicate, wherever and however you want to. Whether using your mobile softphone app to cordless handsets. It doesn't matter how, it just works! 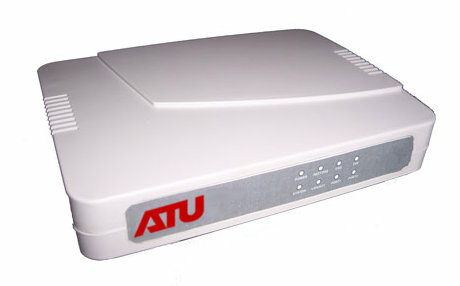 ATU in conjunction with it's partner ISP are able to provide you with a complete end-to-end solution. With Voice Router 1, you're optimised for performance. This feature rich solution will optimise your business' telecommunications. Know who is Calling before the Phone Rings! Integrated Business Enterprise Solutions (IBES.com.au) is our flagship CRM (Customer Relationship Management) + Voice + Video solution. Our aim is to provide an all-in-one console for communications management. Below is a brief overview of some of the features available. System Access to voice, video and customer accounts. Single Session Sign-on allows for enhanced Security. Here is a 40 second video demonstrating the admin CRM instantly responding to an inbound call. Once a call is received on an inbound telephone line (DID or Direct Inward Dial) the admin CRM will search the database for any existing users and display the search result in a dedicated Search Result pane. This will allow you to see whom is calling and select the appropriate account. Our fanless hardware solution in combination with customised software allows us to extend our voice solutions for multi-office installations. These Voice Routers allows our clients to manage and move offices quickly and efficiently. We have a small group of beta testers and will be available for general use shortly. A unique small to medium business telephone solution. With no moving parts and a small form factor, this allows businesses to utilise our telephony services instantly and anywhere in the world. Relocations are now as simple as plug the unit and telephone handset in and instantly the service works. 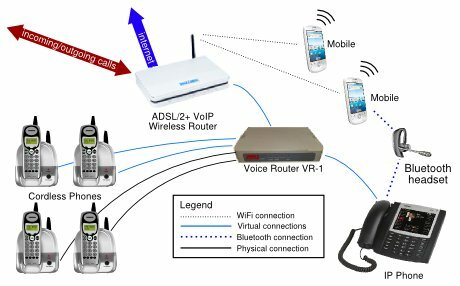 For technical specification please feel free to follow through to Voice Router VR-1 products page. With our newly developed Web Service, we allow customers to take control of their web site. Our extremely easy solution allows customers to edit and build their site through their web browser. This solution delivers an optimised web page which allows their site to be ranked higher in search engines due to our proprietary embedded technology. Just Released a simple to use and self managed web site solution. This "what you see is what you get" online website builder is user friendly and will provide you with increased search engine ranking. It's Search Engine Optimisation capabilities will help your site to appear to potential customers. This product has the capability of putting you ahead of your competitors in Google search results. This youtube video illustrates how easy it is to modify content. With it's unique drag and drop widget capable interface, you'll be creating your website with ease and in no time at all. By you being in the market with a site that can out perform other sites in search engine results. A platform that caters to business needs to be on top of Google search results. This unique system of web building and development is especially designed to get you up there. Content targeted to your niche keywords and it's quick and simple to establish. Keeping up with the competition has never been this easy. If you find yourself slightly dropping, then you can easily and quickly edit to optimise your content to beat your opposition. aChannel.com.au is a testing platform that has been developed by us for video streaming. We have completed the initial development and infrastructure solution. This platform is on display for testing and have integrated the technology into our back-end for product enhancement. Some solution include education, group collaboration and conferencing. A video screen is displayed which automatically plays the queued videos. Commercials are played randomly and sporadically across the span of the video content, just like as if you're watching television. In December, 2010 we have commenced the development of a mobile software application that will allow employees and businesses to answer telephone calls for their desk phone on their mobile for free. Available in this application is short messages, known as instant messaging and an embedded web browser. Targeted mobile operating systems include; iPhone, android, Nokia/symbian, BlackBerry, Windows, Windows Mobile and MacOSX.